It all started with an email they sent me in November 2017 to ask me to promote their apps and saying they like my works ! I thought it was fake cause i couldn’t believe it ! Then finally i began to make themes for them. And at the begining of january, they invited me as VIP designer for the meetup of CM designers in Beijing. I was too excited as i have always been fascinated by China and it was also an opportunity for me to visit Beijing ! I don’t consider myself as a pro designer so I was very flattered and very grateful by the invitation ! Especially because I know many Hello Kitty themers who are in the game longer than me haven t this opportunity. So they make us visit the headquarter. From what i saw this company is really cool from the outside ! People are very kind. there are a lot of indoor entertainment like a gym, karaoke, or water slide ! I never saw that in any firm ! But for sure a company with a US$483.7 Million turnover has to work a lot ! and I think that’s why there’s all this entertainment to allow employees to relax ! And there I met some pro designers from 10 different countries around the world ! They were so inspiring ! And for the first time i knew it’s possible to live as themer ! But it won’t be easy as their level is very high and I am very far from reaching them ! You also need a very good strategy to survive as themer as most of them are very good, you must have other skills they haven’t or must be very creative and original ! So i have still a lot to learn and improve ! But i won’t give up ! Fighting ! They have a mascot called Chip who is so adorable ! 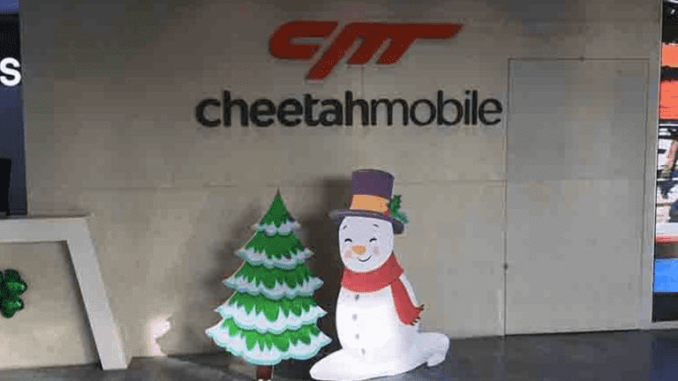 Finally visiting Cheetah Mobile was a great experience and people from there are all talented and work very hard ! I felt very small but I learned a lot from this meetup ! And i will obviously apply what they teached me !